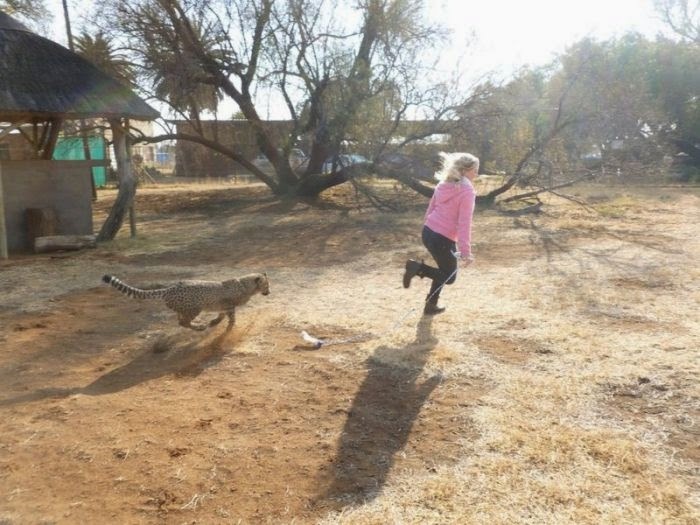 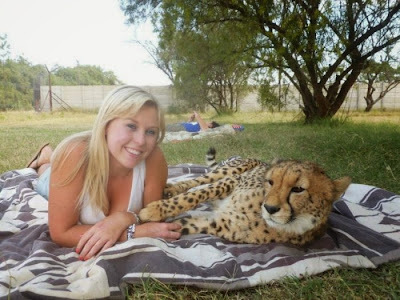 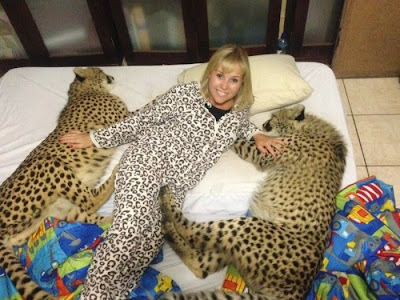 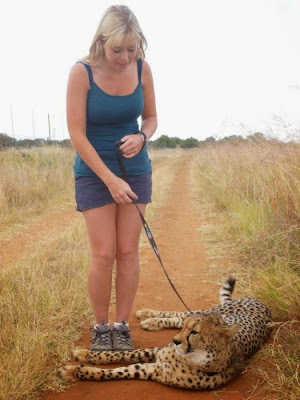 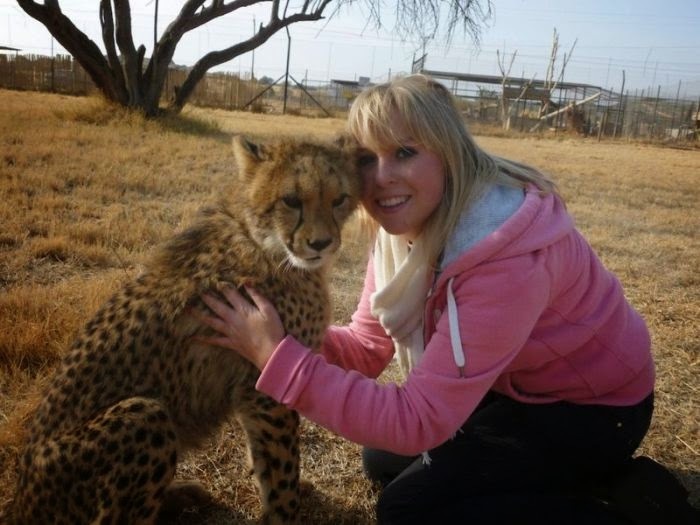 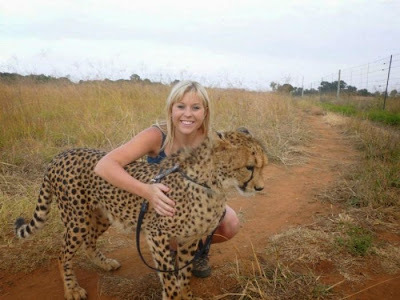 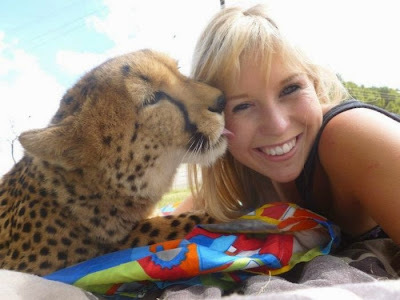 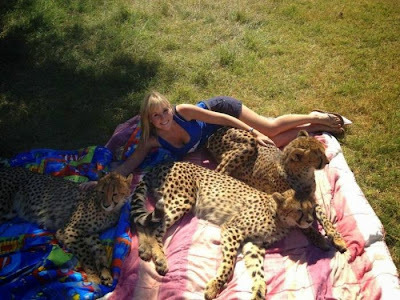 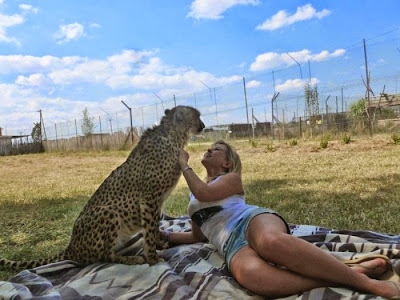 This is Heather, she took her first trip to South Africa in 2011 and quickly befriended a cheetah named Dew. 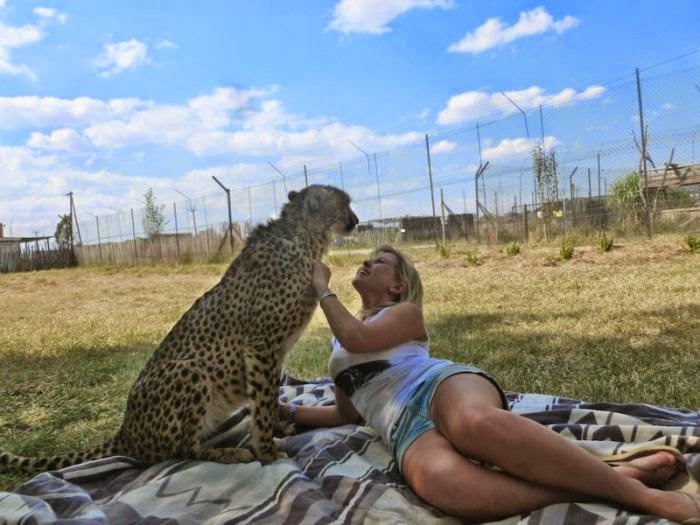 Now she tries to visit him regularly and they have a great friendship. 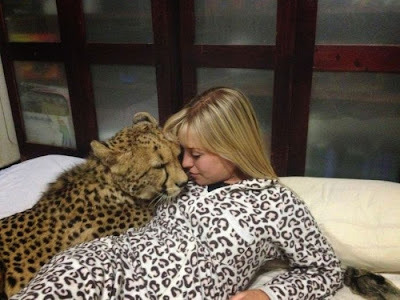 Their relationship gives you a look at the softer side of wild animals.